Your hostess, Mary, welcomes you to Glen House Bed & Breakfast. 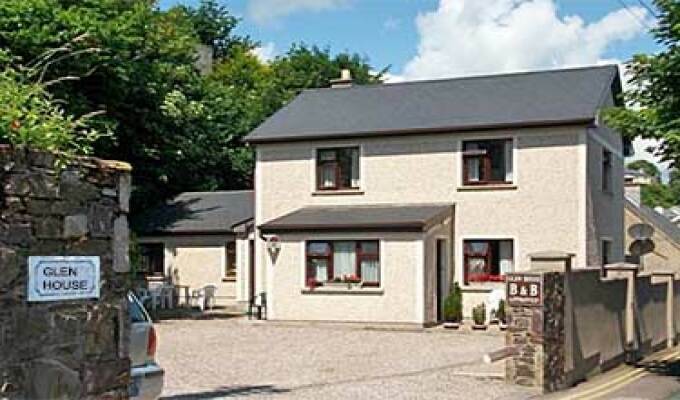 Glen House is a friendly B&B in Youghal, on Ireland's southern coast. A 45-minute drive from Cork Airport, and just a 2-minute walk from the centre of Youghal town. One en-suite bedroom at Glen House enjoy beautiful harbour views,the other bedrooms are on the ground floor with private entrance. The guest house offers free parking and Wi-Fi. Each room has a TV, tea and coffee facilities and its own en suite bathroom, with a shower, or a large bath with overhead shower. Toiletries are provided, and each room has a hairdryer and an electric blanket for colder nights. An excellent home-cooked breakfast is served each morning. Lunchtime and evening dining is available at restaurants within a short walk of Glen House, with global cuisine and plenty of local seafood available. A pretty coastal resort, Youghal offers beautiful beaches, river cruises and water sports. You can explore its long and colourful history in the Youghal Heritage Trail, and discover the town's links to Sir Walter Raleigh and Oliver Cromwell.